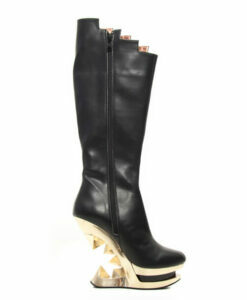 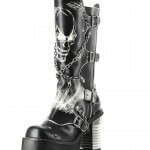 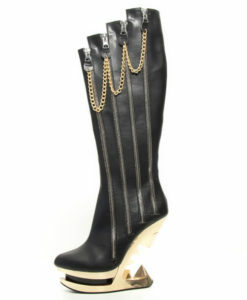 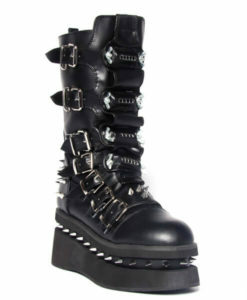 Black PU knee high punk boots w/ crisscrossed biker chains. 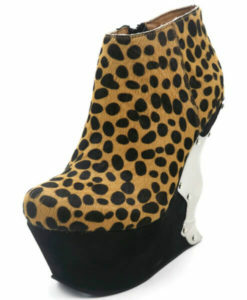 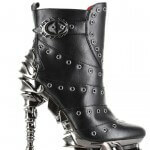 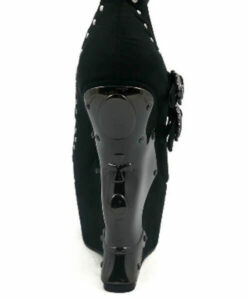 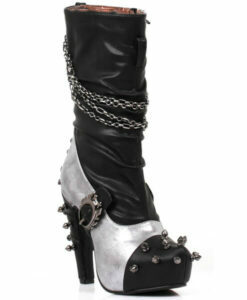 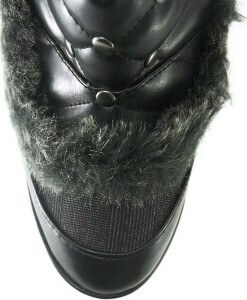 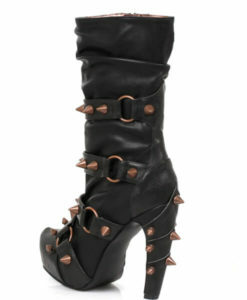 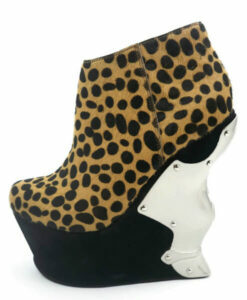 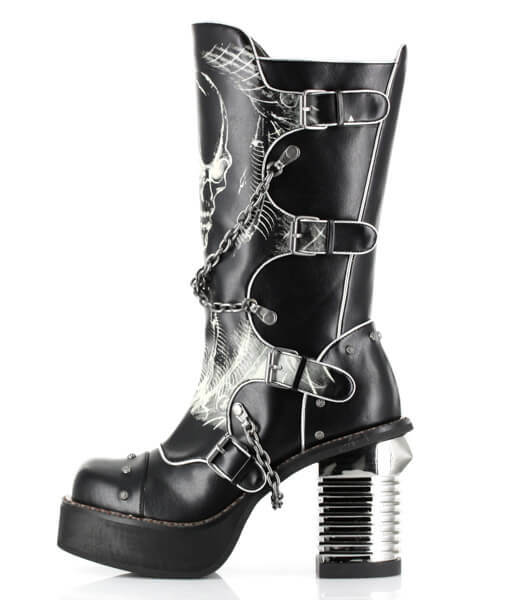 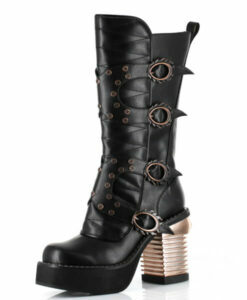 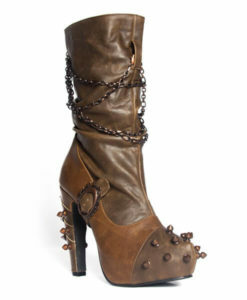 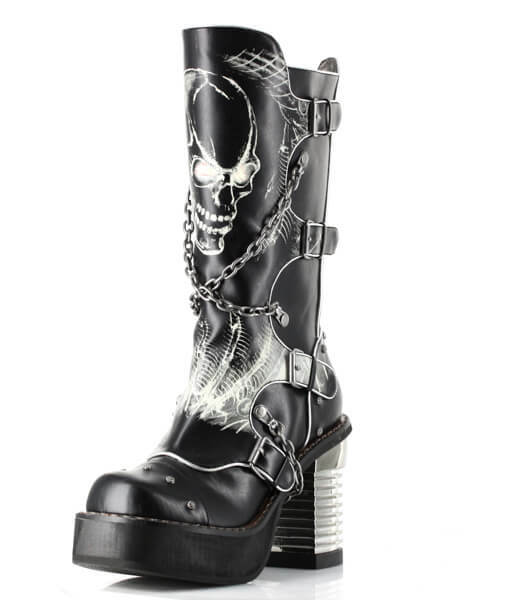 3.5″ chunky steampunk heel w/ adjustable side buckle & inner zipper. 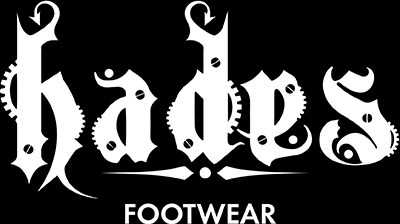 Skull & bone “glow in dark” print design.